Here is an update to the current situation. 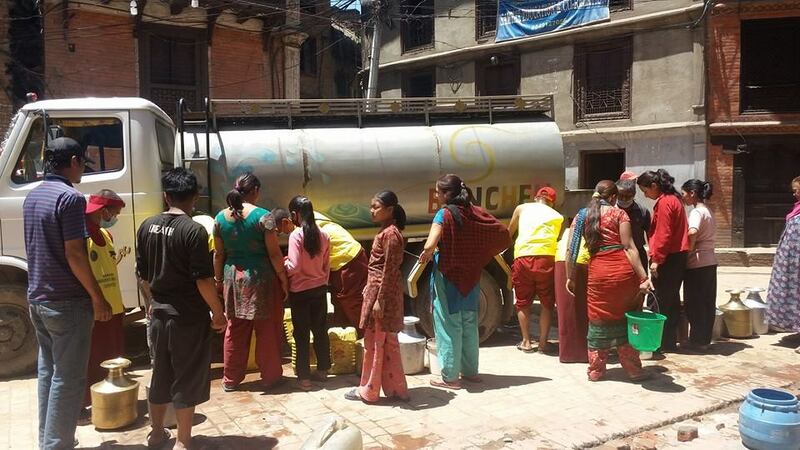 On the 28th April the Benchen water truck went to Dachinkali, Kalimati, Teku, Boudha, and Pachdara in order to aid the shortage of water there. 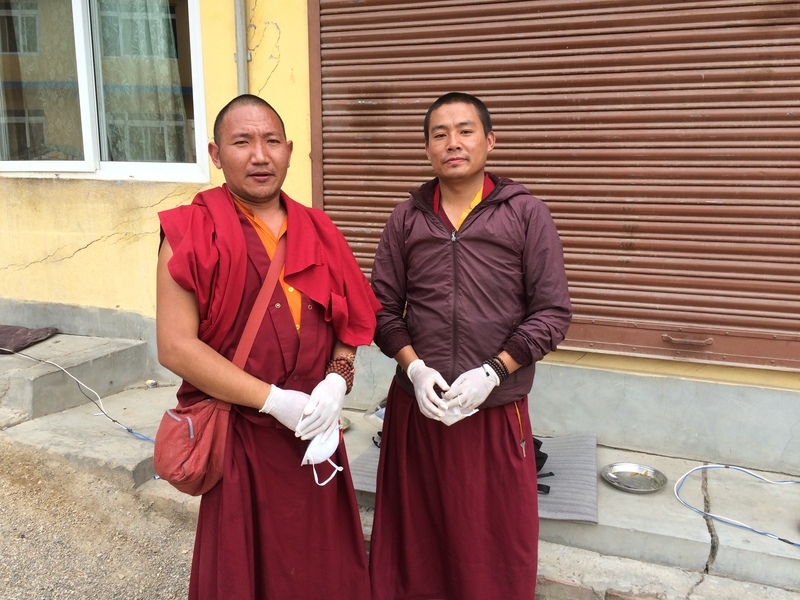 The monks went to various places in coordination with the Buddhist Committee. 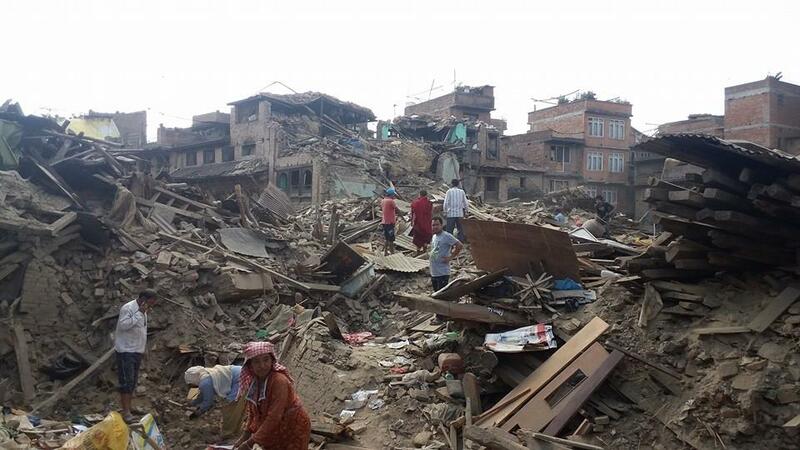 Dr. Tsering along with a group of monks went to Sanku to aid the very bad conditions there. 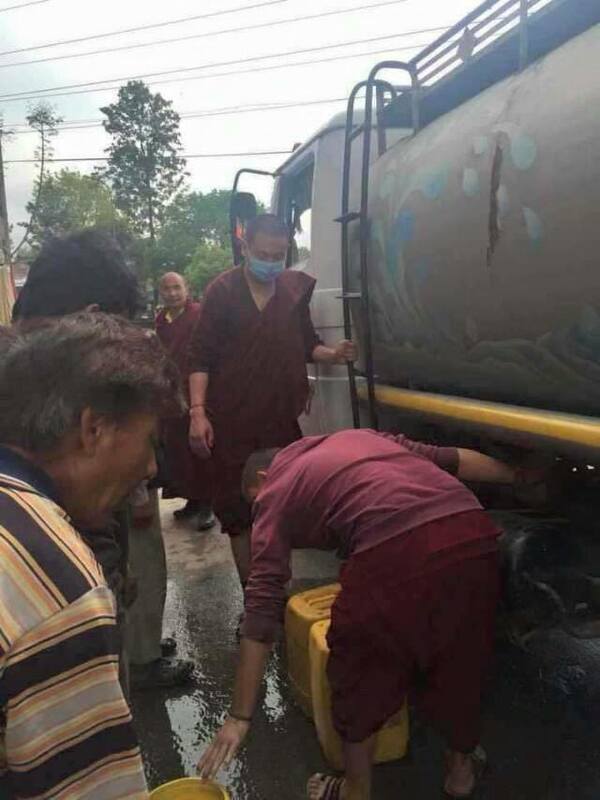 Today on the 29th the water truck went to other places, many groups of monks were offering their help where needed and Dr. Tsering again went to Sanku. 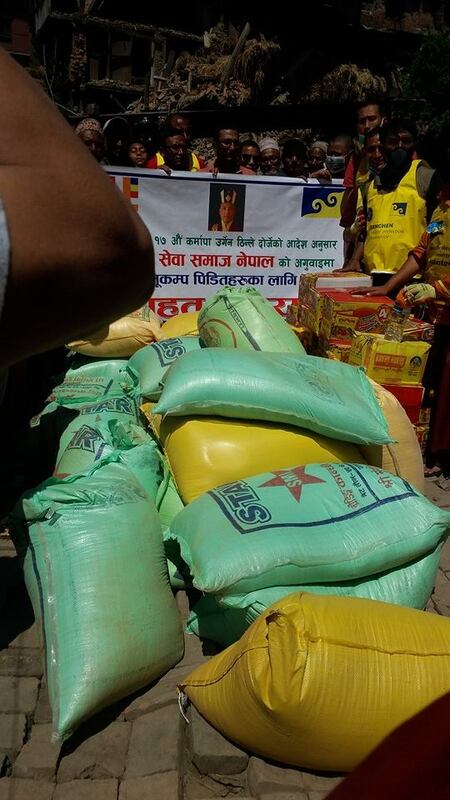 The monastery has difficulties obtaining new food-stock for the monks, which is slowly running out. 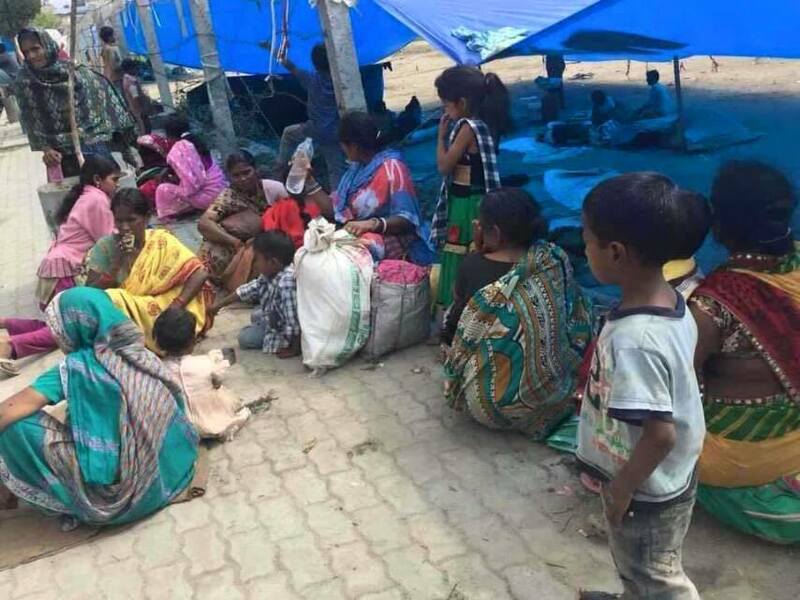 However, we can manage to offer tea to the people in the military camp nearby every morning and afternoon. 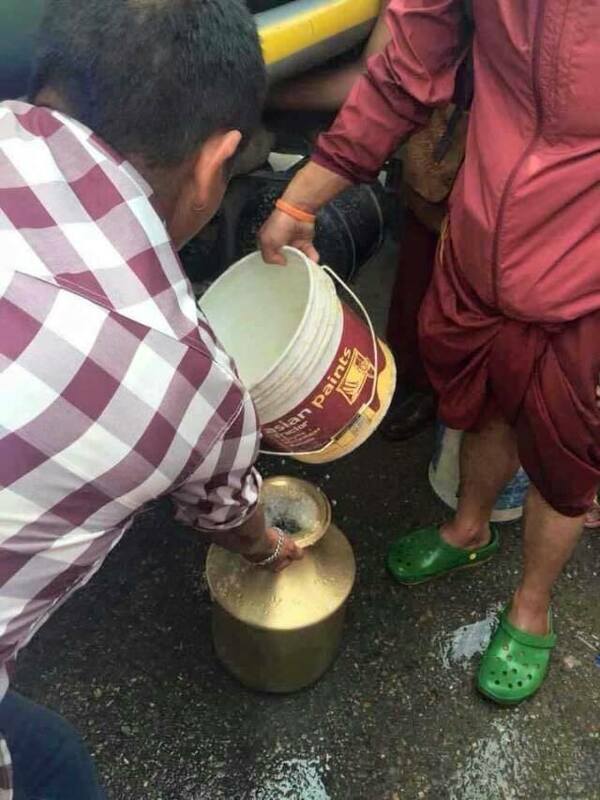 There are some pictures of the monks brining a huge pot of tea to the camp which is filled in smaller pots and distributed among the people. 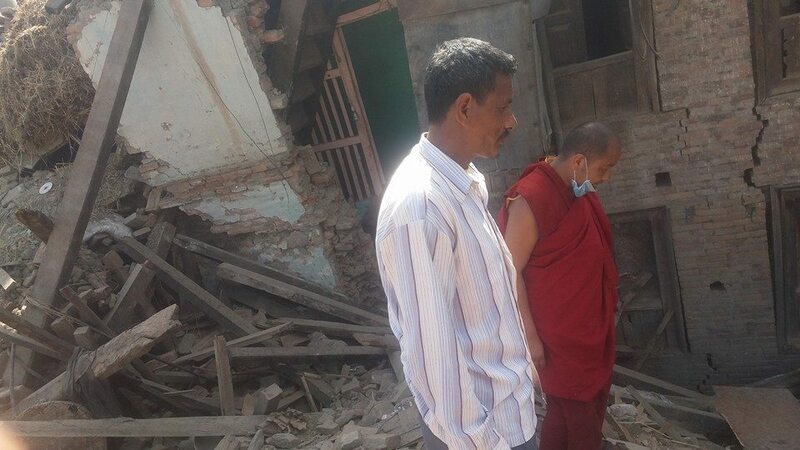 The Benchen monks have tried to help at various sites where buildings have collapsed but were told they could not be of help. 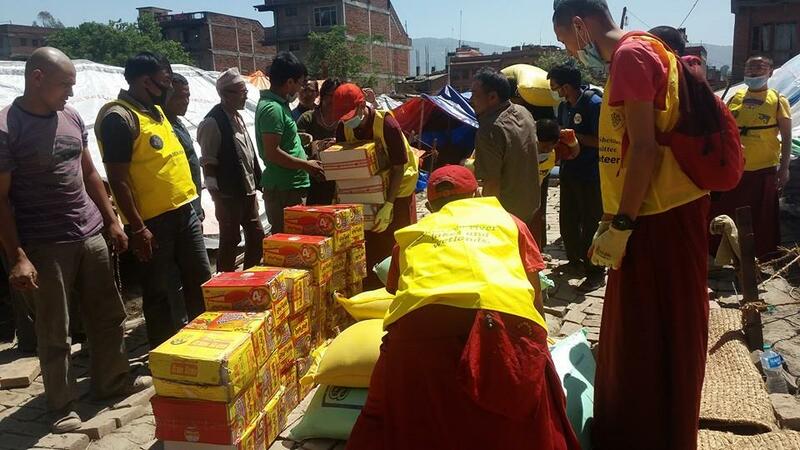 In order to better coordinate the efforts to help there has been a meeting with the president of the Buddhist Committee in Tinchuli. 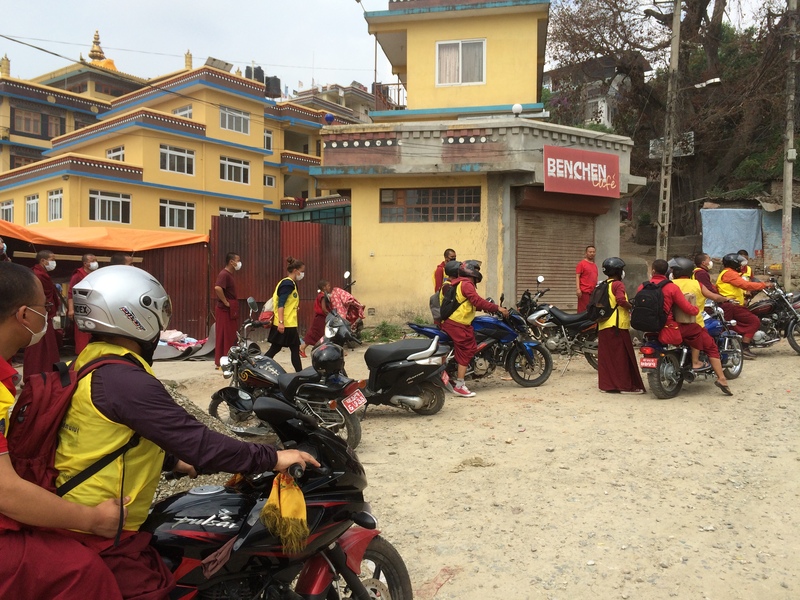 Due to blocked roads the monks cannot get out of the city. 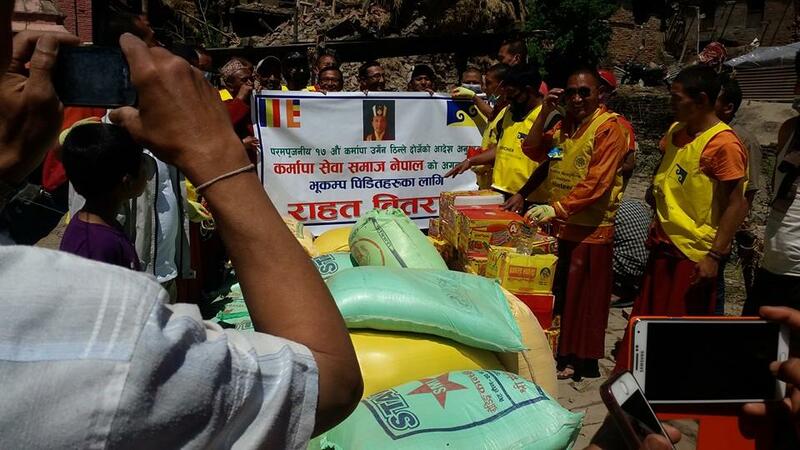 Therefore, they will concentrate on helping within. 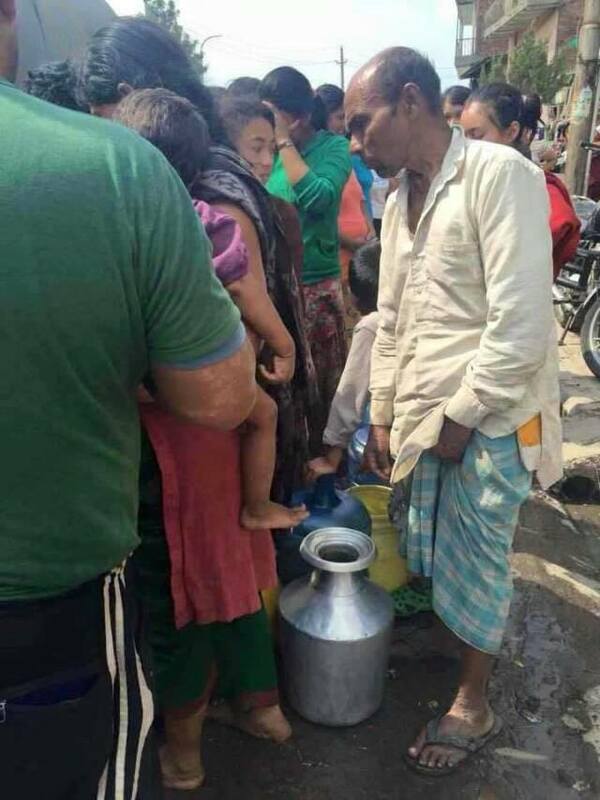 It seems that food is not the most immediate problem in the city, the biggest problem is the lack of water. 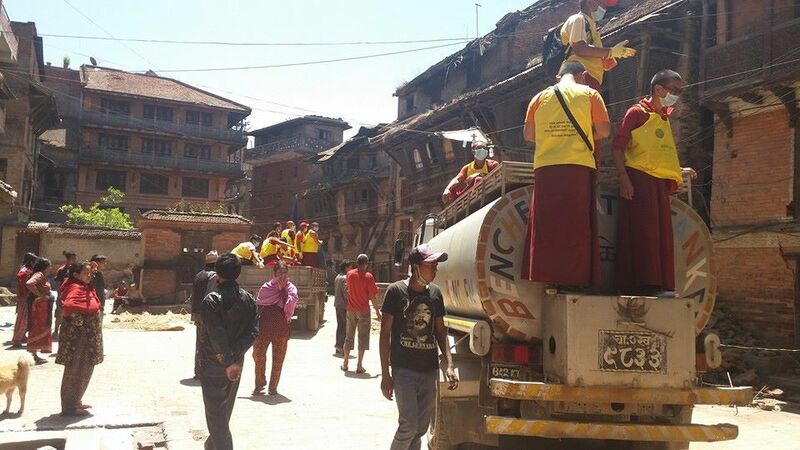 The monks are using the Benchen water truck from the Shedra in Parphing to help easing the overall water situation. There have been reports of a flu in the military camp. 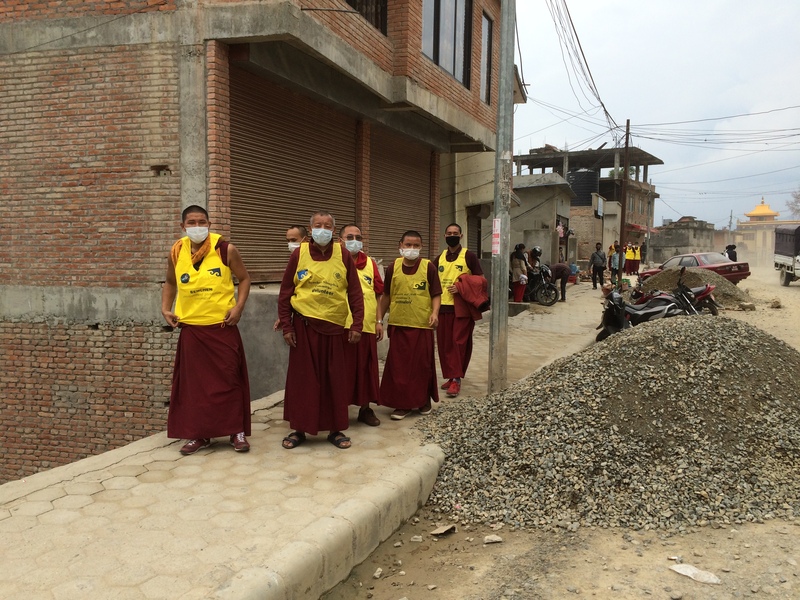 Face mask in stock of the Benchen Clinic have been distributed in order to minimize the risk of infection to the monks and neighbors but it is difficult to obtain more. 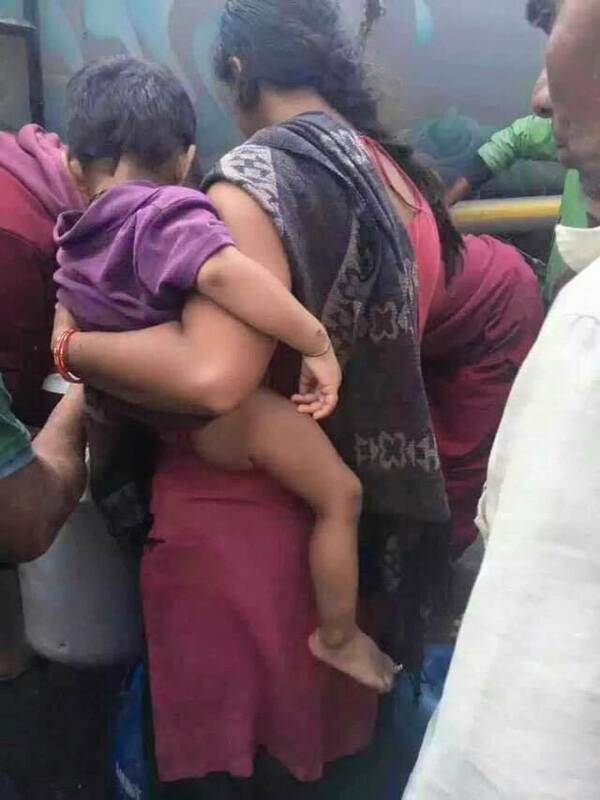 Due to risk of infection all the little monks have been brought to Parphing. 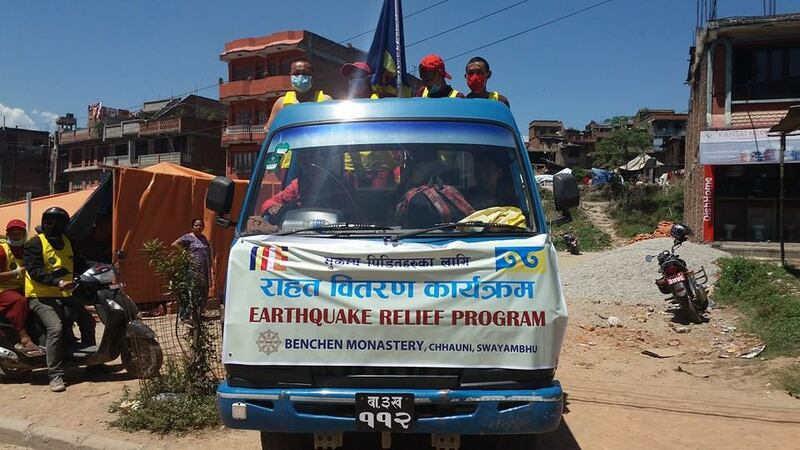 Some monks went further away to Sanku with medical aid. 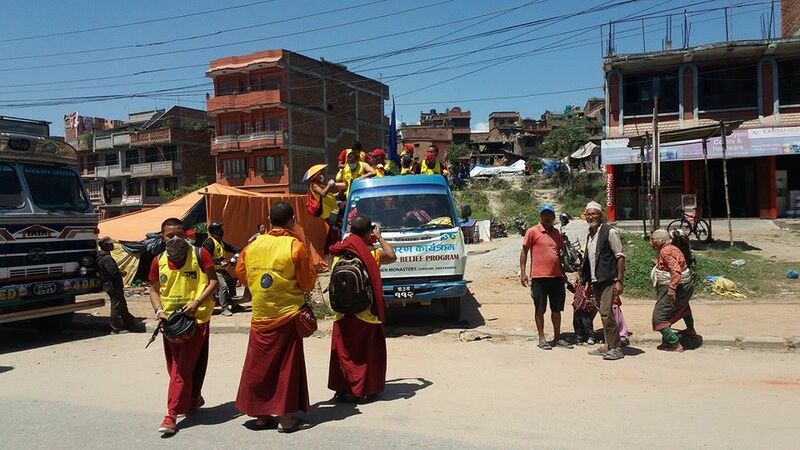 On the pictures you can see the monks on bikes on their way to Sanku, the last truck of the little monks on their way to Parphing, Tashi Özer and Sherab together with one of the many groups of monks on their way to Tinchuli.